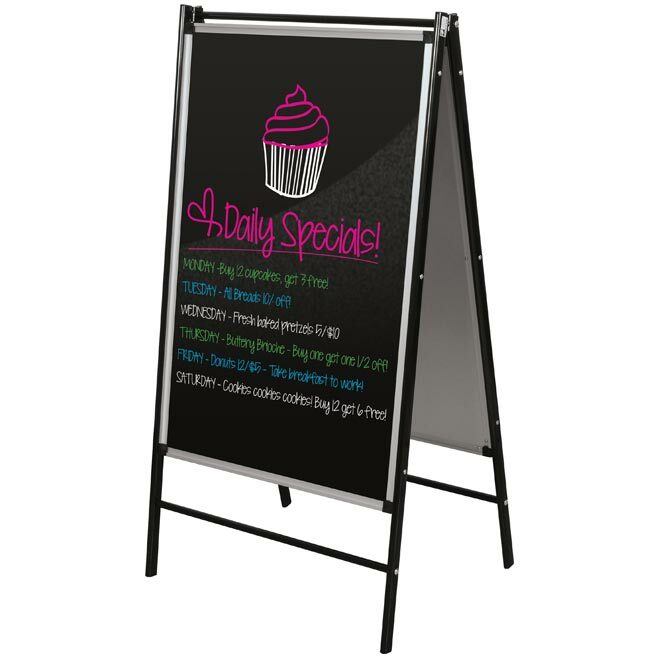 Display your daily specials, event details or restaurant menus on this double sided-black dry erase display easel. 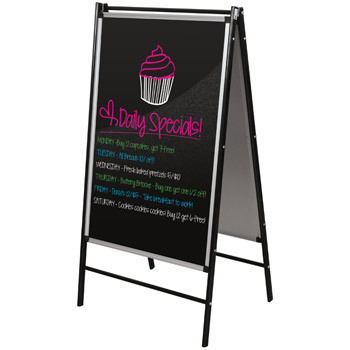 Both sides are 23.5" wide and 36.5" high and work with chalk markers or vibrant neon dry erase markers. 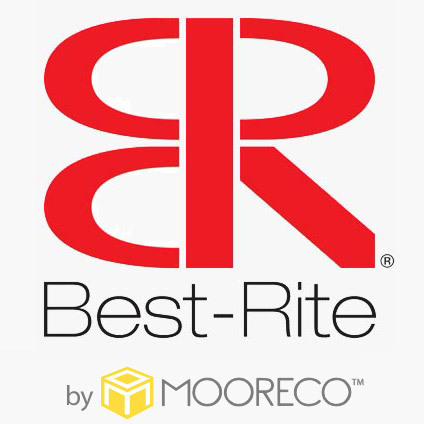 Create a fun display without the mess of chalk. 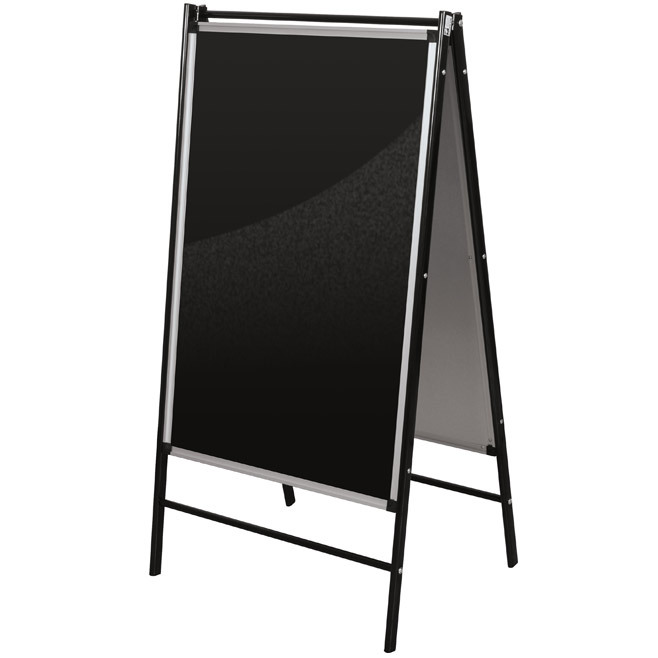 The durable black metal sandwich board frame folds for easy storage. 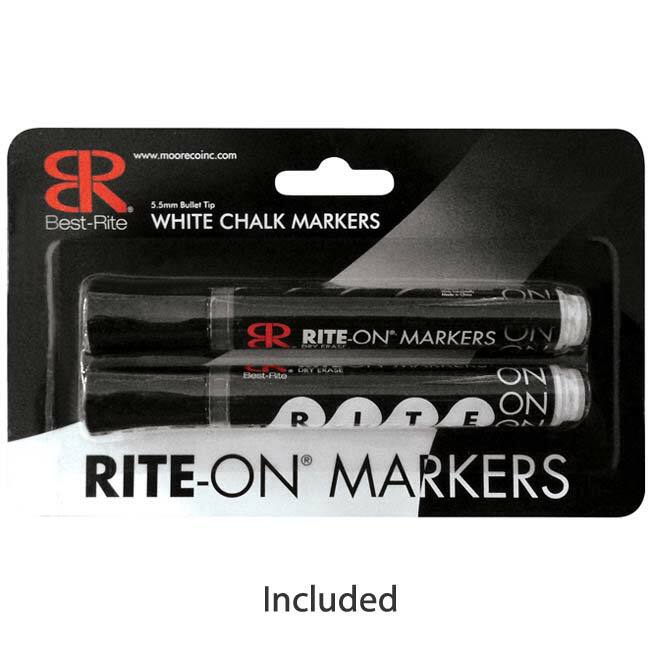 One set of chalk markers included to get started right away!